Editorial Letters and Planning the Attack! Hope you're having a lovely summer. I just returned from hubby's family reunion in Arizona where it poured rain, but we had canopies up and just kept on going, eating, talking, and having our very own mini Family Olympics, complete with medals and cheers in celebration of the Summer 2012 world-wide Olympics. The day before I left town I received my first editorial letter from my brand new editor at my brand new publisher, Harpercollins. Exciting stuff! It's really happening! My book of eight years of research and writing and revising, of selling and then not selling (long story I won't go into here) is scheduled for Fall 2013. And I've recently learned that it will be a LEAD TITLE!!! Wow. It's hard to take that in. My little ole book is important to a major publisher like Harpercollins. I'm blown away, thrilled to pieces, grateful and humbled. The pressure is on to make it rise even higher in story/plot and suspense and writing and characterization. I want it to sparkle, shimmer and shine. I want readers to enjoy it. Actually I want readers to LOVE it and talk about it to everyone they know like crazy! Ha! I want them to fall in love right along with Jayden and Kadesh. I want them to feel the sweat and danger and hardships of desert life in 1750 BC. I want them to belly dance and shimmy their hips right along with Jayden in the fragile and emotional world of the women and the goddess temples. So I'm reading my 8 page, single-spaced letter, digesting the pencil-edited manuscript, and am going to begin my own personal compilation of notes for the changes I need to make. About several pages worth. Even though I refer to the editorial letter often, I usually like to do one of my own. As I accomplish each task or goal, I can cross it off and feel that I'm making progress. I also take the number of pages - 325 - and divide them by the number of days I have been given to do the work - 20 Days Total, Mondays thru Saturdays (I never work Sundays) - and then I know how much I need to do each day. For this project this means I need to revise 16.25 pages per day. Which doesn't sound like much, but there are some big questions to answer, dozens of them, and I will be focusing on plot, character, setting and timeline for each and every scene. So the pages will be painstaking to cut and line-edit as well as enlarging and honing. The work usually begins slowly, tentatively, because I haven't worked on this book for over a year, and that was just a light edit before my agent submitted the project to editors (the trilogy sold in a significant deal in 2.5 weeks!). The last time I did any sort of bigger changes to this book was about 15-16 months ago. During these past many months I've written another book, gone through editorial production with it as well as written two new proposals for my editor at Scholastic so my head has been elsewhere for a long time. "When I first read this, it was unlike anything I had read in a long time. It thoroughly captivated me—the setting, the culture, the romance . . . You have a wonderfully complex, deep story here . . . a sweeping epic romance! Smiling and chewing my fingernails at the same time! ***Cover Reveal*** And a TON of Giveaways!!! I got permission last week to do a *Cover Reveal* for my Spring, 2013 book with Scholastic I thought I'd post it here because I'm doing a MAJORLY AWESOME Giveaway of NINE books!!! You read that right! NINE BOOKS. Please enter and tell me what you think of my new cover for WHEN THE BUTTERFLIES CAME!!! I love it so much. Erin McGuire, the artist, is fabulous. *COVER REVEAL** TIME!!! And a TON of Easy Giveaways! My hands are actually shaking a little as I begin this blog post and my heart is fluttering like a swarm of butterflies . . . 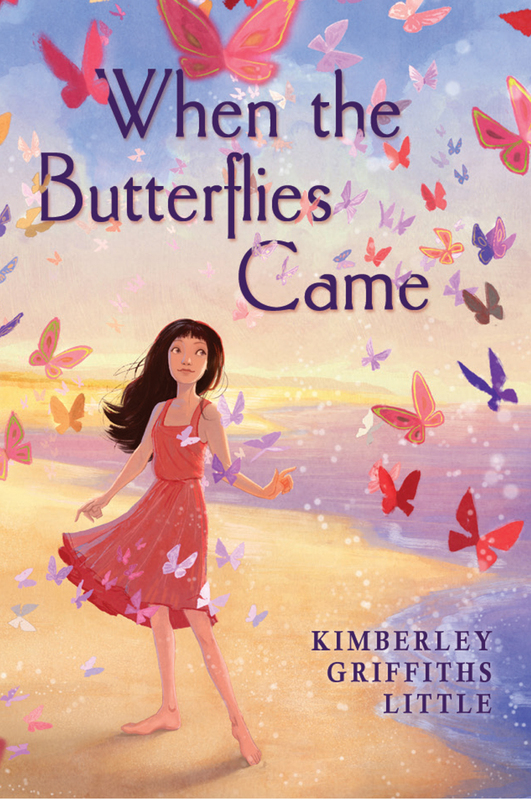 I've got the go ahead from my wonderful publisher, Scholastic, to do a cover reveal today for my Spring, 2013 book, WHEN THE BUTTERFLIES CAME. So what DO you call a group of butterflies? Answer: A Flutter. Or a Rabble. Or a Kaleidoscope. Now Imagine a Dramatic Hollywood Drum Roll right about now . . . TA DA!!! Isn't it simply STUNNING?!? I love the bright pastel colors! 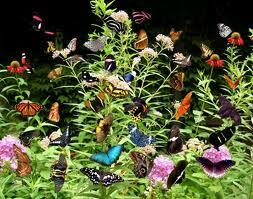 I love the Flutter/Rabble/Swarm/Kaleidoscope of all those butterflies just as they're described in my story. I'm so thrilled with this cover! Erin Maguire, artist extraordinaire has done it again! She is da bomb! The first butterfly comes the day after the funeral. . . . RIGHT HERE ON THIS VERY BLOG is where you ENTER TO WIN!!! THERE WILL BE *NINE* WINNERS TOTAL! 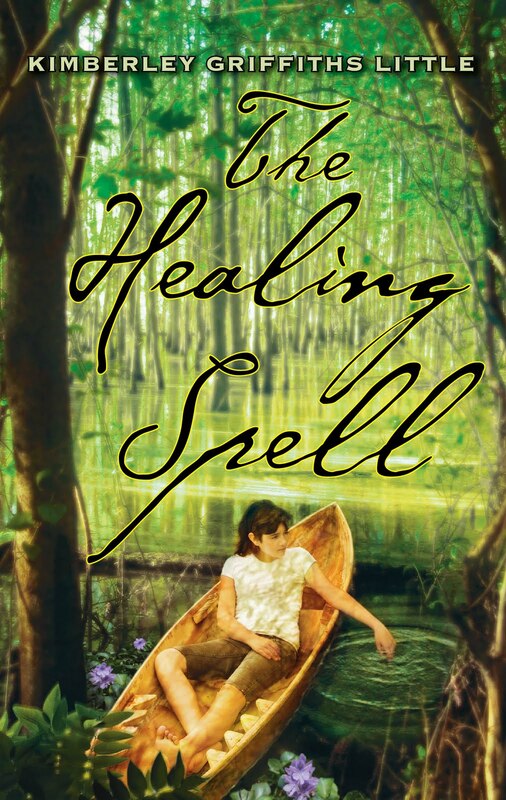 THREE AUTOGRAPHED copies of THE HEALING SPELL!! THREE AUTOGRAPHED copies of CIRCLE OF SECRETS!! And if you are a blogger yourself with a following, I will be drawing names to give away THREE ARCS of WHEN THE BUTTERFLIES CAME when I get ARC's later this summer. DOESN'T GET BETTER THAN THAT, EH? Giveaway! Nonfiction Rocks with Dr. Fred Bortz!!! Nonfiction Books Rock with Guest Dr. Fred Bortz! PLUS Enter to WIN Fred's New Book MELTDOWN! Info to Enter Below (Scroll down)! Tell us about your career(s) and what led you to write children's non-fiction? I have had two different careers, one as a scientist and one as a writer for young readers. I studied physics in college, and I enjoyed it so much that I kept studying until I had earned a Ph.D. At that point, if I wanted to keep learning, I had to go to work and learn things that my employers were willing to pay for. One of those things was how to compute what happens inside a nuclear reactor core. I did that for three years. I could have continued, but I am the type of person who likes to jump from one project to another, so I left to work for another company in another industry for three more years. Then I went to a university, where I switched projects several times over fifteen years, finally ending up in science education and outreach. After one more short hop to a different university, I realized I would be happiest working on my own as a writer. That was 1996, and I have been learning about as many different science subjects as I can. The best part is I can share what I learn with young readers who get as excited about them as I do. Why is non-fiction so important for kids? First of all, I'll rearrange the standard librarian's categorization and include most plays and poetry under fiction, unless they are written to be specifically factual. Also it is important to distinguish nonfiction books for kids and textbooks. Textbooks cover a lot of territory but rarely go very deeply into any topic. That means they can't really satisfy young readers' natural curiosity or their imagination. Fiction allows readers to exercise their imagination by exploring plausible human situations. Nonfiction exercises both imagination and curiosity by exploring factual material, real human relationships, the real world, and other real scientific and natural phenomena. That's why nonfiction takes up so much more space in libraries. But as a writer, I also recognize the power of story, and so I make a point of using good story-telling techniques to capture and challenge my readers. That is certainly the case in Meltdown! Were you a huge reader growing up and what were your favorite books? Unlike most authors, I was not a "huge" reader. I enjoyed reading and literature as ways to learn, but I especially appreciated experiential learning. I lived in a city (Pittsburgh) with easy access to great museums, including a wonderful planetarium, and I was fortunate enough to go to a school that had great field trips and to be selected for programs with even better ones. You might say I was a "huge learner" who had great opportunities to discover and pursue interesting materials and questions. We'd love to hear a couple of favorite stories/anecdotes about some of your research adventures. My favorite research adventures involved spending time with notable scientists who were happy to allow me to share their work with young readers. I have a knack for asking them the kinds of questions that release their inner teenager. I love it when my question unleashes their enthusiasm for and excitement about what they do, usually in words that speak directly to middle-graders and teens. Two of my books take readers on those research adventures with me. To the Young Scientist (Franklin Watts, 1997, http://www.fredbortz.com/YoungScientist.htm ) contains many memorable in-their-own-words interviews. It includes the late Richard Smalley, who won the Nobel Prize for Chemistry in the year after my interview and before the book was published, stating, "I don't think that most people thought I would amount to anything as a high-schooler. Neither did I, frankly." Also in that book, I had a chance to visit the late Eugene Shoemaker, founder of the field of astrogeology, and his wife Carolyn who has found more comets than any living person. They were so gracious and pleased about my project that Carolyn made sure I got to see the original image of "squashed" Comet Shoemaker-Levy 9 that had been captured by Jupiter and broke into pieces. The Shoemakers enjoyed a bit of public fame when those fragments smashed into Jupiter and produced dramatic images. Another person who gained fame from what became known as "the Great Comet Crash" was a young planetary scientist named Heidi Hammel, who had been selected to head the Hubble Space Telescope imaging team for the event. She had a way of explaining the images that endeared her to the public. The Chronicle of Higher Education called her "Astronomy's Newest Star." So you can imagine how excited I was when the National Academies Press selected me to write Heidi's biography, Beyond Jupiter, for its Women's Adventures in Science series (Joseph Henry Press/Scholastic Library Publishing, 2005, http://www.fredbortz.com/HammelBio/ ). My research for that book included three dusk-to-dawn nights with Heidi and her team at NASA's Infrared Telescope Facility at the peak of Hawaii's Mauna Kea. I have a section on my website devoted to that book with a travelogue of my Hawaiian adventure, including both a significant setback and an unexpected discovery for Heidi and her colleagues. Fascinating! Why is your new book, MELTDOWN, so important? Because I had written a chapter ("Fission with Melted Rods") about nuclear reactor meltdowns in my 1995 book Catastrophe! Great Engineering Failure--and Success (W. H. Freeman, Scientific American Books for Young Readers, http://www.fredbortz.com/Catastrophe.htm, I knew that the same political arguments that followed the Three Mile Island and Chernobyl accidents were likely to arise after Fukushima, and they would probably get much louder. Now the big question from Fukushima, which is still being argued about, is what the events teach us about the necessity for and possibility of building safe nuclear power. The economic cost and societal impact on Japan are still being evaluated. So are questions of whether the meltdowns were preventable and how likely a similar event would be with new standards and technology. These questions will need time and careful analysis to be answered. And even when we have answers, the political process will have to produce decisions on policy and regulation. That means we will have to evaluate alternative "green" power technologies. Meltdown! lays out the facts and policy questions about nuclear and other sources of electric power but, like Catastrophe! before it, leaves the answers to those questions open. And that's another thing that nonfiction can do for readers. A novel is supposed to have a clear ending or at least send the readers in a clear direction with their thoughts. In real life (and science), we are often left with unanswered questions, which, as likely as not, will lead us to other unanswered questions. Meltdown! arms the readers with resources to follow those questions as future events and development dictate. Any advice for using non-fiction in the classroom or school library? Dr. Fred's School Author Visits! I think my answers to the previous questions contain the answer to this one, but I will add that my publisher and I have created a specific classroom project called "Build an Energy Campaign Policy" based on Meltdown! It can be found in the eSource links at the publisher's webpage for the book (https://www.lernerbooks.com/products/t/12465/9780761386605/meltdown ). The eSource links also include some supplemental information about the electric power industry and a list of live website links. One of those live links is the "Meltdown! Links and Updates" page at my website (http://www.fredbortz.com/Meltdown/LinksandUpdates.htm), which is particularly valuable because we are learning more about the Fukushima meltdowns, and the world is still reacting to the disaster. Now that I have dipped my toes into a technological topic with significant political connections, I am eager to tackle global warming. The scientific evidence of what to expect and why is quite well established, but the political solutions to the problems ahead are likely to be difficult. Different political points of view lead to different policies, and I do not intend to recommend one political policy over another. But the politics of climate change have been beset with arguments that distort the scientific conclusions in order to support a particular political agenda. I hope to counter that by returning to the genre of my favorite research projects, the story of a science as seen through the eyes of a scientist. In particular, I have a proposal for a book about how scientists develop and use climate models. It's a topic that I discussed in a chapter of my 2010 book, Seven Wonders of Exploration Technology (Twenty-First Century Books, http://www.fredbortz.com/7WXT.htm ). I also have a completed manuscript about humanity's future in space, including the possibility of settling other worlds. It sounds fascinating, Fred! We hope to read it in the near future! Thank you so much for being with the SPELLBINDERS today! WIN A COPY OF MELTDOWN for your library, classroom or homeschool!!! Winner will be Announced Monday, March 19th in Kimberley's Book Buzz Column so Stay Tuned! Her first novel, Comfort,was nominated as a Best Book for Young Adults, was named the Best YA Novel of 2002 by the Texas Institute of Letters, and was on the TAYSHAS (Texas Library Association) reading list. Take Me There is a YALSA Quick Pick for Reluctant Readers. She conducts teacher trainings on inspiring reluctant writers including "The Secret Language of Stories" and "Random Act of Haiku." Mexico, Caroline now writes middle-grade novels and picture books full time. To find teacher's guides, writing activities, and information about author visits, go to my website. Kimberley Griffiths Little is the recipient of the Southwest Book Award, The Whitney Award for Best Youth Novel of 2010, and the author of the highly acclaimed, The Healing Spell and Circle of Secrets, published by Scholastic Press. Look for her books at the Scholastic Book Fairs, as well as two more forthcoming novels in 2012 and 2013. She lives on a dirt road in a small town by the Rio Grande with her husband, a robotics engineer and their three sons. Kimberley is a favorite speaker at schools around the country, presenting "The Creative Diary", a highly successful writing workshop and has been a speaker at many conferences. Please visit her website to download free Teacher's Guides and Book Club Guides. 11:30 -12:30 Panel with Author Jewell Parker Rhodes: "Visions and Spells: Characters in Conflict"
2:30 - 3:30 "Breaking into Children's Novels through Magazine Writing"
"Rekindling the Reading and Writing Fire"
Book Clubs: Planning the Meeting! Will members be allowed to drop in when they feel like participating or will they be expected to attend regularly? What happens if a member hasn't finished the book? How can members prepare before the meeting? And a key question: What's the point of a book club? In order to attend a meeting, you need to read the book. That's it! Sometimes we'll read a book about a boy. Sometimes we'll read about a girl. If you are a boy, you CAN read about a girl and survive. I promise. Girls, same for you. How does this book compare to others I've read? I was suprised/annoyed/happy etc. when __________ happened. Any of your own ideas! You can get yourself a notebook to write notes in. You can write ideas on a scrap of paper. Where you write doesn't matter. Come to the meeting with something to say! The more you say, the more fun the discussion. If you have a copy of the book, bring it along, too. Challenge yourself to read a type of book you might not pick up on your own. I'm looking forward to our year together. Now that you're all on the same page, assign the first book, select it together, or pass out the list of books you've planned for the group to read ahead of time. Make sure to include a way to contact you. Make sure you've arranged with parents for transportation. Be prepared to be flexible. And just like I mentioned above, commit to having fun! Next month, Book Club Pitfalls to Avoid. Ca rolee Dean has made numerous appearances as a guest poet/author at schools, libraries, poetry events, and teacher/library conferences. She holds a bachelor's degree in music therapy and a master's degree in communicative disorders, and she has spent over a decade working in the public schools as a speech-language pathologist. Her first novel, Comfort,was nominated as a Best Book for Young Adults, was named the Best YA Novel of 2002 by the Texas Institute of Letters, and was on the TAYSHAS (Texas Library Association) reading list. She conducts teacher trainings on inspiring reluctant writers including "The Secret Language of Stories" and "Random Acts of Haiku." 12:30 -1:30 Panel with Author Will Hobbs: "Opening Minds Across Borders: Characters in Conflict"
If you haven't read Anne Lamott, get yourself to the library or bookstore pronto! Her books about writing are some of the very best. She'll make you laugh, cry, and buoy up your writing life.After you read Bird by Bird, you will know in the deepest places of your soul if you are meant to be a writer or not. I love this new piece of Anne's: Time Lost and Found. I'm also currently reading the Writers and Poets current January/February issue. There is a section just for writers called "Inspiration" and I'm underlining stuff! Reading bits of articles before I go to bed at night. "I would sit down to research something and found I couldn't focus (or it takes 3 times longer than originally thought or planned). I started to feel overwhelmed, less and less able to control what I thought about. Online I would get a bizarre, Internet-induced amnesia, totally forgetting whatever I'd gone online for. I even wrote about the importance of getting offline, but found I was less and less able to simply do that . . ."
In Creativity by Csikszentmihalti, he identified four major obstacles that keep people from creative accomplishment: psychic exhaustion, easy distraction, inability to protect/channel creative energy, and not knowing what to do with that energy. Frank Bures: "Online, I would stay in open and curious mode for far too long, and it was getting harder to transition to the ruthless single-mindedness I needed to get anything done." " . . . the ability to control one's attention is perhaps the single most important quality of the creative mind . . . I felt I was living in a constant state of "continuous partial attention", never fully tuned in to anything, but always partially tuned in to everything." ***2012 is a year I want to take my life back. I want to feel more in control each day. I know it's going to be difficult, and I have to change the way I look at each day and my actions from the moment I crawl out of bed and stagger to the computer each morning. 1. I want more time for reading, pondering, praying. 2. I want to spend more time just being with and enjoying my family instead of constantly distracted. 4. I also have more writing/work to accomplish than I ever have before in my life so I'm feeling like taking control of my life is really critical for me. I'm under contract for 5 books that need to be written and taken through the editorial revision and production process. And then two book launches per year beginning in 2013! Yikes! Whew! Scary! Exciting! But I also want to keep up with my dear, online writer friends, too. You have all helped me, given encouragement and advice as I read your blogs, cheered me on, and made me feel connected in the writing world, and that is priceless, too. It's the hours of Online Coma that I want to get rid of! I'm curious what your daily schedule is like. The most problematic days for me are when I have a lot of appts and errands to be run and then there's no time left for writing and reading. I'm also thinking I may have to give up a few other things that take tons of time and I have nothing substantial to show for it afterward. Thinking on this . . .
Spellbinders - Newbery Award Buzz! Newbery And Caldecott Award Buzz! Got Plans for the Weekend? Read any great books lately? If you combine weekends and wonderful books, maybe you're headed to the American Library Association conference January 20-24 where librarians from all over the country will converge on Dallas Texas for the Midwinter meeting! AND will your favorite book of 2011 win the coveted Newbery or Caldecott or Printz Award this weekend, too? Here are a few titles that may win that have received excellent reviews and recommendations and that you may want to consider for your library or classroom collections. Note: Each book's title is a link that will take you to the author's website. Inside Out and Back Again by Thanhha Lai (the 2011 National Book Award Winner for Young People). to download free Teacher's Guides and Book Club Guides. Carolee Dean has made numerous appearances as a guest poet/author at schools, libraries, poetry events, and teacher/library conferences. She holds a bachelor's degree in music therapy and a master's degree in communicative disorders, and she has spent over a decade working in the public schools as a speech-language pathologist. Her first novel, Comfort,was nominated as a Best Book for Young Adults, was named the Best YA Novel of 2002 by the Texas Institute of Letters, and was on the TAYSHAS (Texas Library Association) reading list. She conducts teacher trainings on inspiring reluctant writers including "The Secret Language of Stories" and "Random Acts of Haiku." To find teacher's guides, writing activities, and information about author visits, go to www.caroleedean.com. Lots of folks are compiling their lists and I wasn't going to do this since I haven't kept very good track this past year, and I was embarrassed at the dearth of books I've read. Usually there are a lot more! It's been quite a year personally and professionally in so many ways: Emotional on a daily basis, full of tears, full of joy, several book deals, emergencies, lack of sleep, lots of travel, book launch, you name it! Caroline Starr Rose has her list here and it sort of kicked me in the pants to sit down and go through my library list of books checked out and read, as well as all the books tucked around the house that I bought and read. Not as much adult or non-fiction, even though I checked out several highly recommended adult titles that I haven't finished and are sitting under my bed, waiting for me. They'll be on next year's list - I hope! To wrap up our holiday food theme and ring in the new year, for this issue each of the Spellbinders will discuss simple recipes from their books that may be shared with a classroom or book club. Kenny Willson wants nothing more than to get out of Comfort, Texas, away from his alcoholic, ex-convict father and his controlling mother. In order to promote her husband as a country and western star and keep him out of bars, Kenny's mother opens the Comfort Cafe where her husband can sing without risk of violating his parole. The problem is that Kenny's father has no desire to be a country and western star and his wife hates cooking. Kenny's mother serves a variety of frozen, processed, and ready-made foods such as frozen pizza, corn dogs, honey buns, and frito pie and forces her son to quit football and band to work night and day in the cafe. Kenny finds his voice through mentorship of his journalism teacher and a pretty senior girl who encourages him to get involved in poetry competitions. Unfortunatley, she has a muscle-head boyfriend she can't seem to get rid of. This novel explores the idea that the things we find "comfortable" are often the things that keep us stuck. Activities: Before reading the book, have students explore the theme of the book by making posters of things that bring them comfort. During the reading of the novel, explore how some of things that feel comfortable to us are actually harmful. Afterward have a "Comfort Foods Potluck" having students bring items from the Comfort Cafe or other comfort foods. Go to this website and read the article "Cajun Wedding Traditions" by Jane Vidrine. Compare Faye's wedding in the book with the description of a Cajun wedding in this article. What was the same and what was different? Write a compare/contrast essay about your findings. At Faye's wedding, there was boiled crawfish and gumbo and boudin (a type of sausage) plus lots of side dishes and desserts. Here's a recipe for gumbo that can be prepared the day before and plugged into a crockpot in the classroom for your students to try, using plastic bowls with spoons. Very yummy! Add chicken to broth in a 6 quart slow cooker. Stir in roux and mix well. Add sausage, okra,onion, green pepper, celery, garlic, salt and peppers seasonings. Cover and cook on low for 8-10 hours. Serve with hot, cooked rice. Mavis Elizabeth Betterly, or May B. as she is known, is helping out on a neighbor's Kansas prairie homestead, "Just until Christmas," says her Pa. Twelve-year-old May wants to contribute, but it's hard to be separated from her family by fifteen long, unfamiliar miles. Then the unthinkable happens: May is abandoned to the oncoming winter, trapped all alone in a tiny snow-covered sod house without any way to let her family know and no neighbors to turn to. In her solitude, she wavers between relishing her freedom and succumbing to utter despair, while trying to survive in the harshest conditions. Her physical struggle to first withstand and then to escape her prison is matched by tormenting memories of her failures at school. Only a very strong girl will be able to stand up to both and emerge alive and well. In this debut novel written in gripping verse, Caroline Starr Rose has given readers a new heroine to root for, one who never, ever gives up. Find a room big enough and stretch the string out, making a rectangle with a door-sized opening at one side. Measure a bed, a dresser, a table, a stove. Mark the furnitures' dimensions on butcher paper and arrange it inside your string rectangle. A furnished soddy! Imagine a family living together in this small space. Send a self-addressed stamped envelope to the address below for free sourdough starter. Dissolve the yeast in warm water with a little sugar till bubbly. Sourdough is a yeast but rises faster with added commercial yeast. In a large mixing bowl add sugar, salt, sourdough starter, yeast and flour. Cover; set in warm spot and let rise until double. Punch down and turn out onto floured work surface. Roll out to 3/4 inch thickness. Cut with biscuit cutter. Dip both sides in butter or oil, and place on well-greased baking sheet. Let rise 15 min. Bake at 425 - 20 min. or until golden brown. Kimberley Griffiths Little is the recipient of the Southwest Book Award, The Whitney Award for Best Youth Novel of 2010, and the author of the highly acclaimed, The Healing Spell and Circle of Secrets, published by Scholastic Press. Look for her books at the Scholastic Book Fairs, as well as two more forthcoming novels in 2012 and 2013. She lives on a dirt road in a small town by the Rio Grande with her husband, a robotics engineer and their three sons. Kimberley is a favorite speaker at schools around the country, presenting "The Creative Diary", a highly successful writing workshop and has been a speaker at many conferences. Please visit her website to download free Teacher's Guides and Book Club Guides. Launch Party for Caroline Starr Rose's debut novel, May B. Introducing Milly and the Alamosa Bookstore Event!! But Back to the point! So What happens in Kimberley's Life and most importantly what type of Author Activities does she do? Well, Let me tell you! We arrived at the Bookstore around 1:30 after having a delicious lunch at the nearby Dion's (Pizza!!! Yumm!!) and proceeded to start hauling stuff into the store to set up. We had displays, food, A deliciously Awesome cake (Made by myself of course, With a little Help from Betty Crocker) and a fun Charm Bracelet Craft for people to either make or purchase as a gift to go with the book. After Hauling in the important stuff, like the Poster size book cover of the Circle of Secrets and the 'Gators and The Gumbo (You can never forget the gumbo!!) and making sure it was all properly set up we went out for the Crème de la crème of our event. The Princess Castle Cake! (Made by yours truly) but as we pulled out the box that had the cake we suddenly realized that a secondary box for the cake was missing. The towers for the absolutely Gorgeous Castle cake were forgotten to be packed in the car by a certain somebody’s spouse (Probably because he had small children crawling all over him). Fortunately the cake was adorable enough to not need the towers so we put it out anyway! But first we discovered a Treasure Trove of Kimberley's Books, The Healing Spell and Circle of Secrets!! Anyways, People came in and started filling up all the lovely seats while I set up the Charm Bracelet Craft in the back of the store. Then The Magic Started! Kimberley got up and introduced what was happening and said a few nice words about the store and its owners. Then introduced her Adorable assistant (Me!) and explained what the craft was that we would be doing in the back after the Presentation was over! And then she pressed play and Wonderful Cajun Music filled the air as a video presentation of her adventures in Louisiana played on a screen. I will admit that the music might have stopped half way through the presentation and it might have been the fault of the person who made the video for Kim *cough cough*milly*cough cough* but the rest of the Video went very Smoothly Including the New Book Trailer for Circle of Secrets! 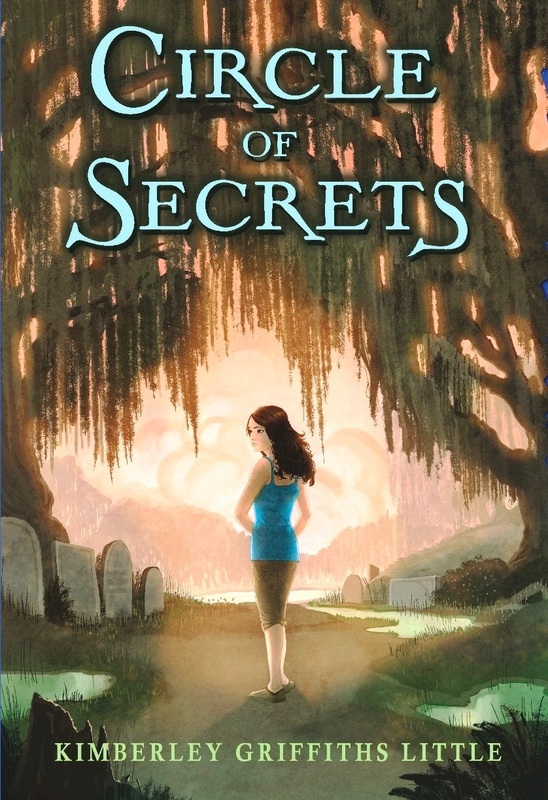 Spectacular and Spooky Book Trailer for CIRCLE OF SECRETS AT THIS VERY LINK!!! After the Video was done Kimberley gave a very nice talk that included a couple of very well placed jokes, a bit of "ooh"s and "aah"s and a wonderful reading of her book! (She even threw on a little Cajun accent, but Shh you didn't hear it from me). Either way her Presentation ended with wonderful Applause! And then everyone got in line for the Book signing and food!! The Bracelet activity went off without a hitch and many young girls walked away with fun bracelets to keep and cherish for the rest of their lives! (Or till they lose it). So This is Milly Signing off! And be prepared to hear from me more in the future!